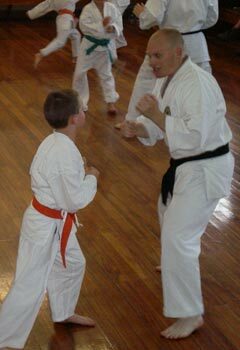 Since starting Karate in the early 2000’s it has given me way more I could have imagined back then. 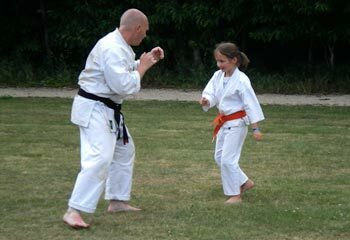 It has given me fitness and coordination but most of all it has given me confidence in all aspects of my life outside of karate. The training has always been fun and exciting with the highlight being achieving my black belt in 2007. My young boy now trains at the Harewood club with me so it has become a family activity which we can share together. And I hope we can both carry on training together for many more years to come.